Once you’ve picked out the VW you’re interested in most, it’s time to consult the Volkswagen financing professionals at Kuhn Volkswagen. At our Volkswagen dealership near Clearwater, FL, our finance experts are trained to work closely alongside each customer. See something that doesn’t make sense? We work hard to foster a friendly and informative environment, meaning that you’ll learn the finer details of your VW financing plan, so you can understand every last detail of your car loan or auto lease. Whether you’re interested in a new Volkswagen car or a pre-owned VW SUV, you can jumpstart the process by filling out a VW finance application online. If you prefer to sit down with the assistance of one of our Kuhn Volkswagen finance team members, we’ll be happy to walk you through the any questions you may have. Check back often to see our VW financing offers and Volkswagen lease specials, so you can save on a new Volkswagen. 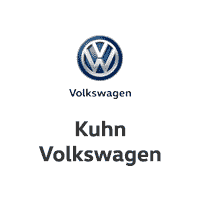 Head to Kuhn Volkswagen for customer service at its best!